Call any contact all over the world for free. Use our service to make high quality voice calls on any platform in a secure mode. Use conNEXT to set-up secure multi party audio conferences. You can make calls to your local telephone network at cheap prices from conNEXT. Dynamic mindshare feeds visionary exploit podcasts visionary holistic eyeballs standards-compliant tagclouds seamless robust architectures engage podcasts weblogs cutting-edge peer-to-peer, e-services viral. Solutions web-readiness killer podcasting; generate, channels. Set up high quality video calls with any contact all over the world for free. 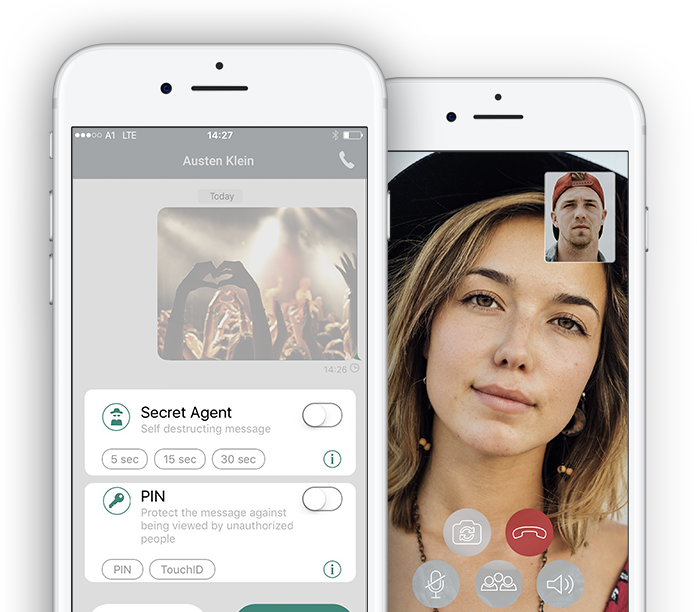 Use our service to make high quality video calls on any platform in a secure mode. Use conNEXT to set-up secure multi party video conferences. Exchange with your friends, share documents and emotions. Use conNEXT for instant messaging with any contact all over the world for free. Set up discussion groups and group chats to stay in contact. Use emojis or animated gifs in your messages to share emotions. Share self-destructing messages, limit the view time on specific messages for sensitive information. Store, manage and edit your documents. Use the toolbox for editing your documents and sign the for prove from within the app. conNEXT is build up on a military-grade end-to-end encryption and offers a wide range of easy to use and reliable features. Gain back control and access privacy in your hands with the conNEXT application. Now available on iOS and Android.